(R.R.P. 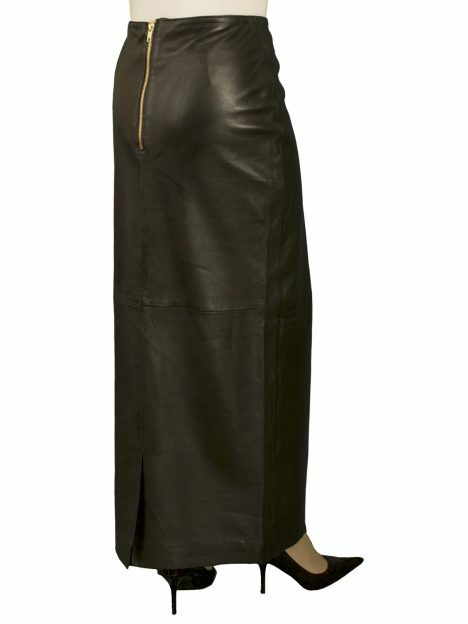 £299.99) A most elegant black leather maxi skirt styled in a smooth, sleek line, with a rear kick pleat. Just perfect for smart or more formal wear. Exquisitely tailored in finest quality super soft lambskin nappa leather, sourced from British hides. It has a figure-hugging fit to emphasise the natural curvature of the body. Length (from waist to hem): 35in-37in/89-94cm, depending on size. The kick pleat gives added style and allows easier movement. 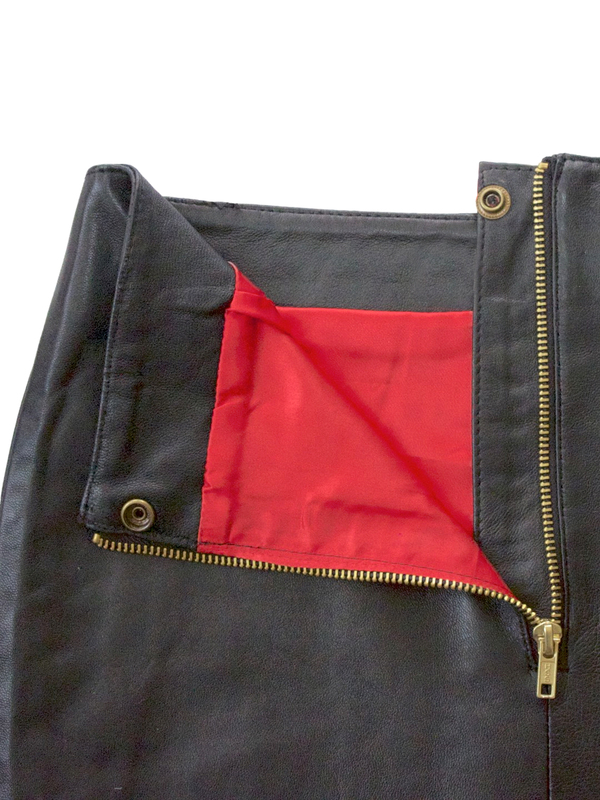 The skirt is fully lined in luxurious red satin fabric and fastens with an attractive golden metal zip at the rear plus discrete popper stud. Exclusively for the Tout Ensemble label by Ashwood to our own design. 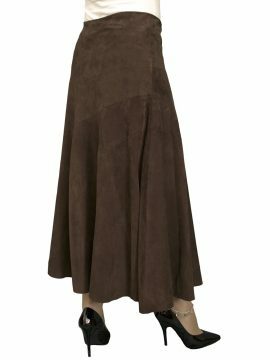 NOTE: This same style with a kick pleat is available in other lengths – Knee Length: 23in; Midi: 27in and 31in (click on links to see each one). A black leather maxi skirt that is beautifully tailored in fine quality luxury soft lambskin nappa. 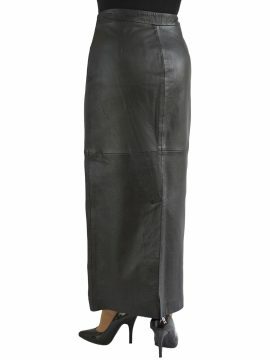 It is elegant to wear and styled as a full length skirt for a figure-hugging fit. Just perfect for many occasions, night or day – smart/casual, smart or more formal evening wear. The short kick pleat gives added style and allows easier movement.